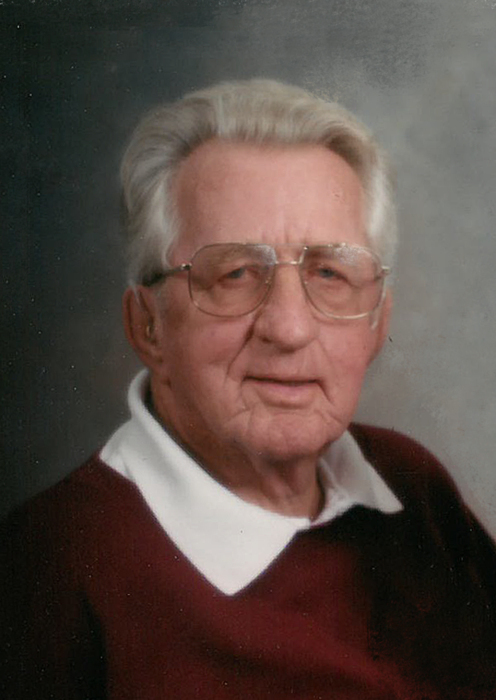 Lyle Keith Nygard, 92, passed away at his home in Lindon on January 24, 2019. He was born on July 23, 1926, in Battrum, Saskatchewan, Canada. Lyle was the second child of six born to Oscar and Minnie Nygard. He married Adelaide Doris Farnsworth on June 2, 1949. Together they had two daughters. He and his wife, Adelaide, moved their family from Saskatchewan, Canada to California in August, 1962. They lived in California until moving to Utah in June, 2007. He is survived by his wife, Adelaide, his daughters, Margo (Rick) Mandelbaum and Brenda (Rod) Smith, 4 grandchildren, 11 great-grandchildren, and his youngest sister, Sharon Bertsch of British Columbia, Canada. Lyle worked as an accountant, working for auto dealerships, and pharmaceutical companies until 1978 when he became partners with his son-in-law in a rain gutter business in Glendale, California. He continued to work the rain gutter business until he retired in 1988. Although Lyle was never a farmer, he enjoyed helping his relatives on their farms and assisted with harvest every year. His father owned a mechanic garage so Lyle grew up around cars. He always seemed to have a new car because every year when the new models came out, there was a “problem” with his current vehicle—translated, it meant he wanted to trade in his current car. He would always stop at the car lots, “just to look.” Once, Lyle and Adelaide went out after dinner to buy some milk for breakfast. They came home two hours later with a new car. The salesman came with them because they didn’t even have a checkbook with them to write the check for the car. In his younger years, Lyle enjoyed curling, fishing and hunting. In his later years, he exchanged curling for shuffle board. He enjoyed golfing, which he did daily after retiring. Lyle enjoyed spending time with his grandkids and loved to tease them about anything that would rile them up. His laughter and teasing will always be remembered and will be greatly missed. We love you Dad, Grandpa, Gramps! Memorial services will be held on Saturday, February 16, 2019, at 3:00 p.m. in the Lindon Utah Central Stake Building, 56 East 600 North, Lindon, Utah. Interment will follow in the Lindon City Cemetery. Friends are invited to join the family in remembering his life.